I hardly ever complain about an Apple product that I own or have owned in the past but the seriously bad quality of stock iPhone / iPod earphones is a bit hard to ignore. The bass reproduction is almost zero while the extremely harsh treble pretty much kills it for me. However, Apple’s trademark styling, comfort and microphone/clicker functions are the things which keep you from throwing these earphones away. So, hoping to resolve this poor bass issue, we gave Draco Design‘s cool new accessory, the DEEP BASS Active Control Headphone Amplifier for iPhone, iPod and iPad, a test drive. 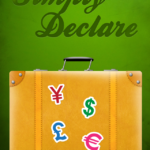 Catch our full review after the break. 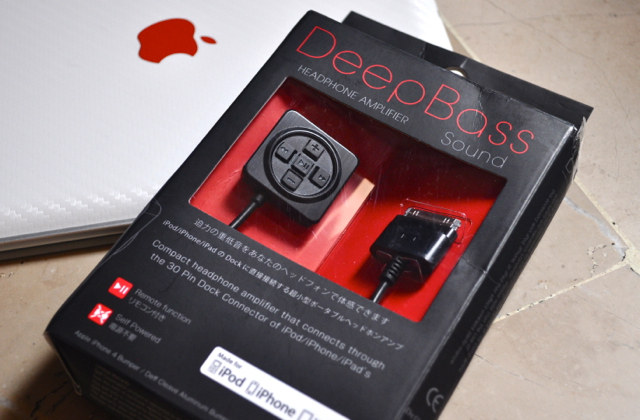 Designed by Deff Corp. Japan in collaboration with Draco Design Inc. USA, Deep Bass promises to deliver original sounds produced by professional musicians, artists, and producers in the way they are meant to be presented. 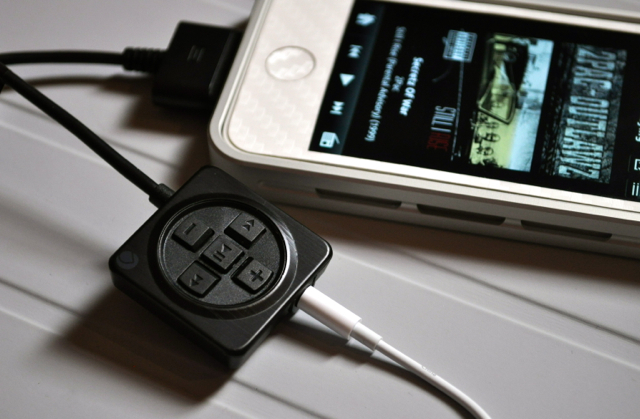 To achieve that, they have packed a powerful bass amplifier in an ultra-compact device that plugs straight into the 30 pin Dock Connector of any iPhone, iPod or iPad. 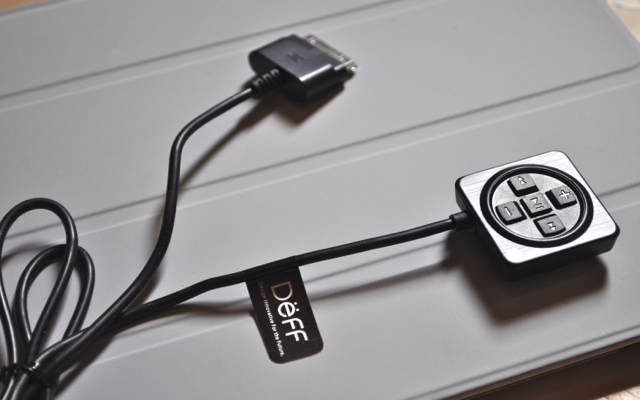 Unboxing the Deep Bass amplifier, reveals a compact black colored amplifier attached to a 30 pin Dock Connector cable for direct connection with any iOS device. 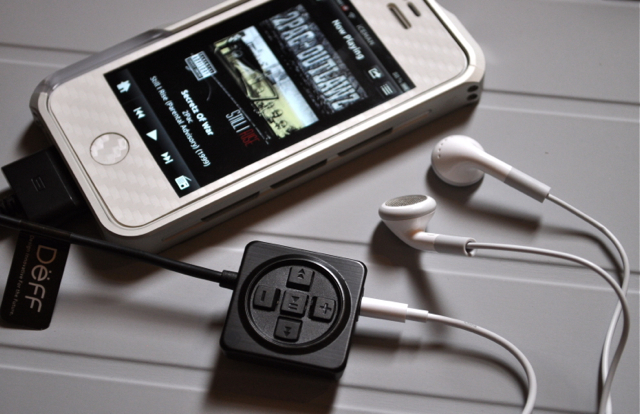 The Deep Bass amplifier is a self-powering plug & play device that does not require any external power for charging. The amplifier also sports an aluminum bezel control panel that gives you quick access to music selection and volume control. This is probably one of the device’s major selling points since most people use third party earphones with their iPhones and iPods which don’t have built-in music controls. 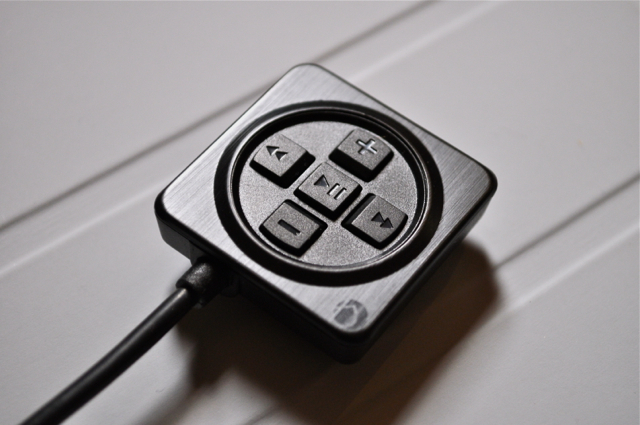 The buttons are nicely arranged with a decent tactile response that let you play/pause music, skip tracks and control volume. 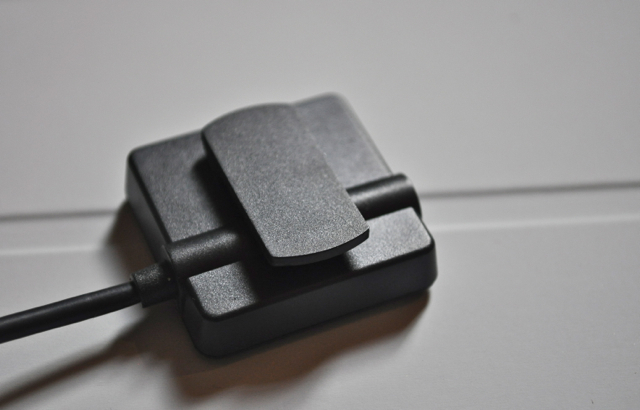 The back of the square-shaped amplifier hosts a clip for attaching it to your pocket or shirt which is quite useful in case your earphone’s cord length is too short. It also makes using the controls a lot easier during exercise or running. 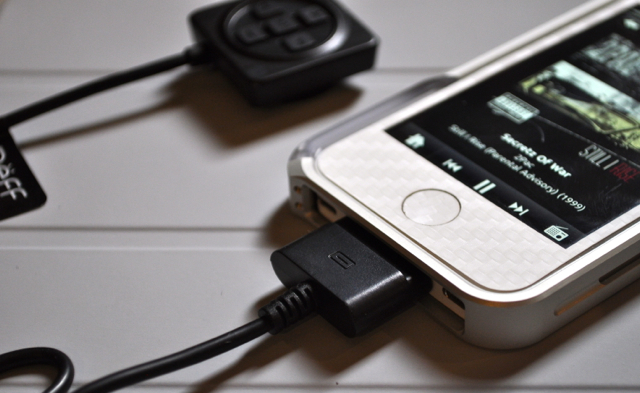 The 30 pin connector cable plugs into the iPhone, iPod or iPad’s Dock Connector while the earphones go into a standard 3.5mm jack at the top of Deep Bass amplifier. 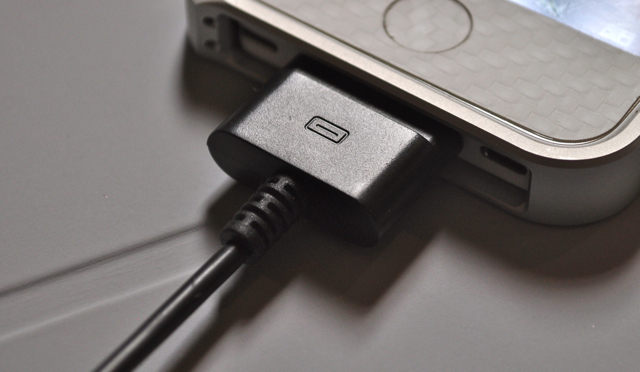 Once everything is plugged in, you’re good to go. While Deep Bass is meant to improve the sound quality of just about any earphone plugged into it, I began my tests with the Apple’s bundled earphones which I really wished for to sound better and guess what, the sound did actually improve. There was a significant boost in volume and overall depth of sound. The bass was there, though not quite as boomy as I had hoped but it was noticeably better. Cranking up the volume to maximum produced a slight bit of distortion but this is something I didn’t notice with other headphones I tried. 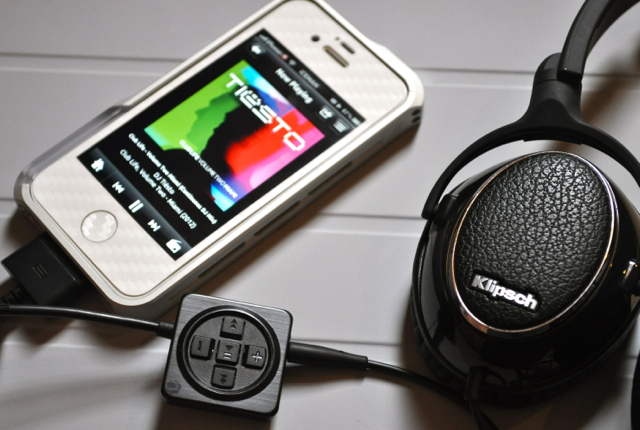 I then switched to one of the best pair of bass-heavy headphones in the market, the Klipsch ImageONE. The bass response of Klipsch is actually the best I’ve ever heard from any headphone I’ve owned so far. Adding the power of Deep Bass, they sounded even louder and clearer with a kind of punchy bass which is bound to please every bass head out there. Finally, I hooked up a pair of professional earphones, the Westone UM2 Dual Driver earphones which are commonly used by musicians and mixers. While the sound produced by UM2s is epic, I always missed not having built-in music controls when I had them hooked to my iPhone. 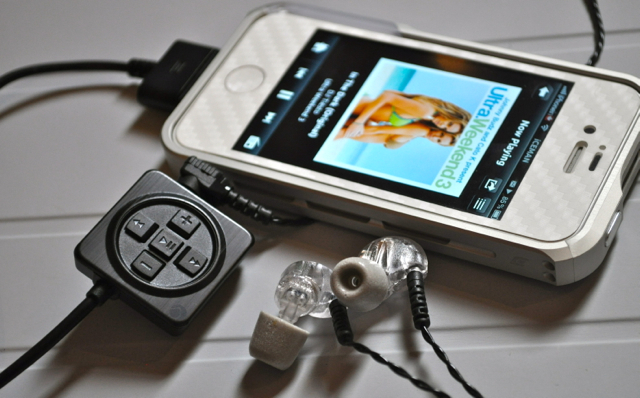 But with Deep Bass, I was delighted to be able to control my music without touching my iPhone. Once again, the sound was louder than ever with crisp highs and punchy bass. While some people might argue that instead of picking up Deep Bass, why not get a pair of Sony or Sennheiser earbuds with reasonable bass response for as much as $20 less, I would still recommend getting the Deep Bass amplifier not only because it will improve the sound quality of Apple’s stock earphones, but will also add some excellent music controls to any other headphone you might already own.